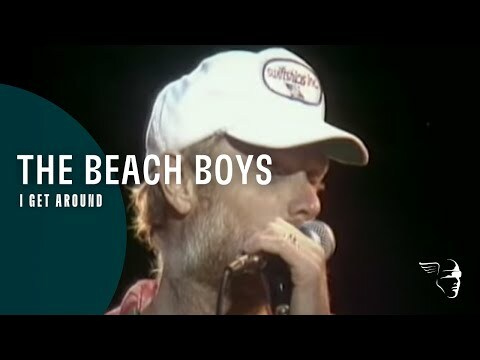 "I Get Around" was The Beach Boys' first #1 hit and still stands the test of time, hewing to tradition as well as being innovative enough not to be thought a rip-off of the past. It moved California's favorite singing sons to a new level. Woven into the song's fabric is a Chuck Berry-inspired lead guitar played proficiently by Carl Wilson and a pile of vocals that descend directly from The Everly Brothers, take a page from the falsetto of Frankie Valli and The Four Seasons, and the choiring of surf angels that seems to have been in the air around southern California in the early-1960s. Berry notwithstanding, the opening guitar notes of "I Get Around" are among the first in mainstream music to feature fuzz-tone effects and reverb. The fuzz box was a relatively new invention and reverb had previously been used only on vocal tracks and occasionally on an isolated drum layer. The lyrics tell a simple, borderline-silly tale of a bunch of buddies who drive around looking for...action? It's innocent enough. Fun, music, wheels, girls, the joy of being young and alive condensed into 2 minutes and 15 seconds. Aside from the hooky chorus of "Round, round get around, I get around," the rest of the lines are peculiar for Rock at the time, coming across as flashes, abstractions. They echo bits and pieces of the cruising reality. Details are not really assimilated. There are just flashing pictures, mini-scene sequences. maybe for the first time – the world at your feet. Carl Wilson plays a strong lead guitar, powerful enough to belt out that it's "100% male" but artistic enough to speak of another side to his soul. The timing of the harmonies in and out of the lead vocals is impeccable and already in 1964 they tell us that a genius was forming around Brian Wilson whose devotion to precision is one of his many calling cards. Interspersed in the drumming are crisp, sparse handclaps – borrowed from The Beatles' success with the device. 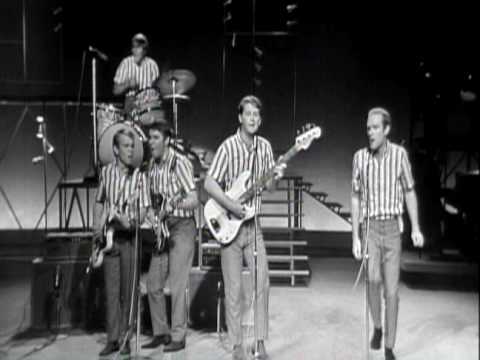 "I Get Around" holds the same ridiculous optimism as other Beach Boys's songs from the early years: "Be True To Your School," "When I Grow Up To Be A Man" and "Fun, Fun, Fun." Although the flip side of "I Get Around" is the ruminative "Don't Worry Baby," Brian Wilson was deep inside the moments before he heard voices in his head, before the real world smacked the golden summer dream around, before the boys became men, before they really got around. Don't Worry BabyThe gold standard of Rock ballads, of car songs and of male introspection songs. Fun Fun FunThe old T-Bird is cherry but needs a little more time in the family garage to be taken out on very special occasions. The gold standard of Rock ballads, of car songs and of male introspection songs. A song that gives strong reassurance that Rock-N-Roll will never die. Okies brought a pure western, homespun sound where it met up with Western Swing and the raw, achy sound of Jimmy Rodgers. Who the heck was actually influenced by the Cali roots-country? Quick answer - any and all rockers in the Golden State.